A door knocking operation will take place Monday, January 19, 2015 from 1:00 p.m. to 4:00 p.m. in the City of Alexandria. The kickoff location is station 209, located on Main Line Boulevard in Potomac Yard and the canvassing area will be around Cora Kelly School, located at 25 W. Reed Avenue. 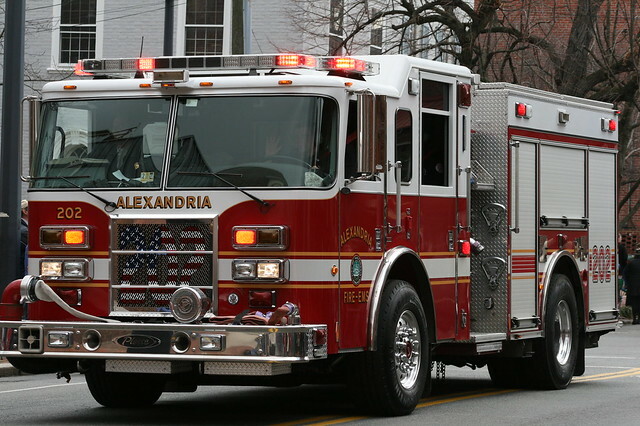 The Alexandria Fire Department, American Red Cross and volunteers will distribute educational material and do smoke alarm installation for residents. According to the National Fire Protection Association (NFPA), working smoke alarms cut the risk of dying in reported home fires in half. Every home should have working smoke alarms installed on every level (including the basement), outside each sleeping area, and inside each bedroom. A smoke alarm should be on the ceiling or high on a wall. Keep smoke alarms away from the kitchen to reduce false alarms. AFD and Red Cross urge everyone to take two simple steps to help reduce home fire deaths and injuries: check existing smoke alarms and practice fire drills in your home regularly. Your chances of surviving a home fire depend on how quickly and safely you are able to respond. By taking these two simple steps you will increase your chances of surviving a home fire by more than half.